The Saint Lucia Cabin Bag – The Wanderers Travel Co.
Saint Lucia, with its teardrop shape sitting like a precious stone in the vibrant blue of the Caribbean. Emerald green mountains, crystal clear sea and golden sandy beaches – it’s a luxe tropical paradise. But this tropical Caribbean wonderland has plenty of geographic and cultural richness. Volcanic mud baths, natural hot springs, jungle adventures, stunning hidden coves, amazing food and lively nightlife all wrapped in one beautiful vibrant package, and all without losing its down-to-earth cool. 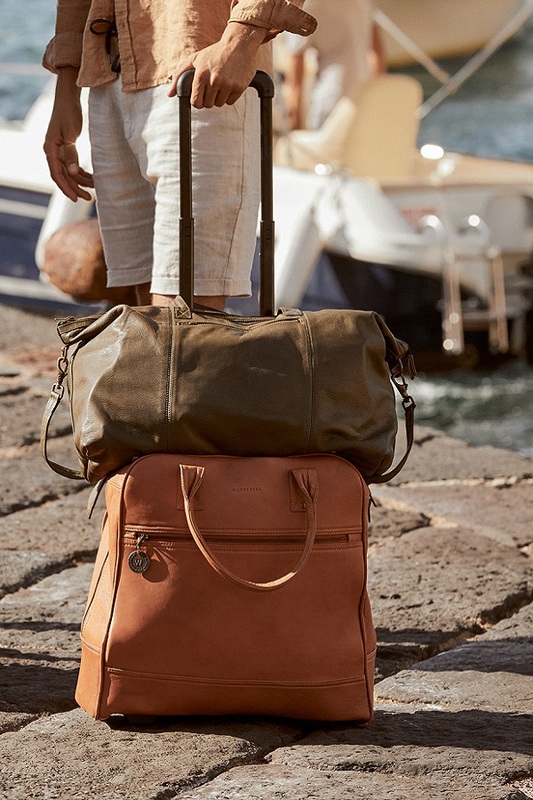 Just like our Saint Lucia cabin bag – luxe full grain leather, plenty of functional punch and all without losing its down to earth cool. With a large external pocket for easy access to your travel essentials, internal laptop sleeve and with plenty of room inside. Pull it along via the telescopic handle and wheels or hide the handle away and use the full grain leather handles to carry this versatile bag. However you choose to use it, one thing is for sure…this bag was made for Wandering!